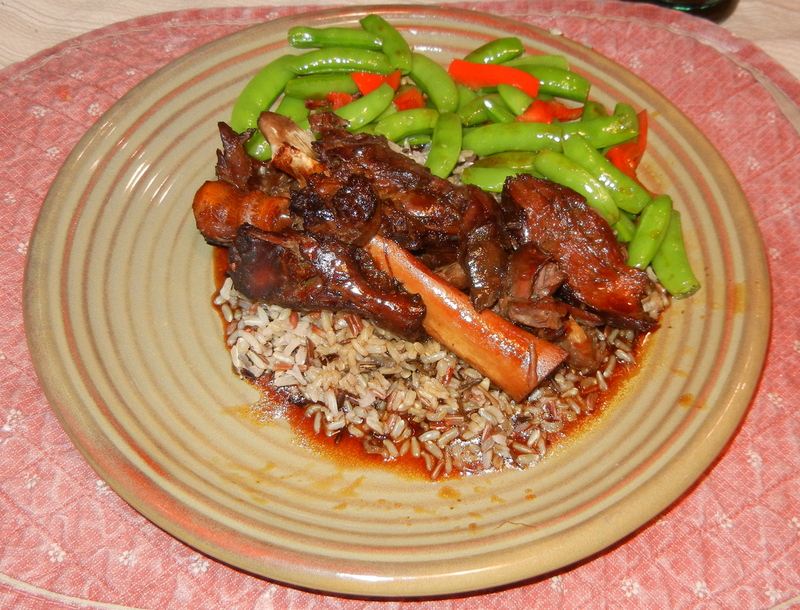 Lamb shanks are very rich. 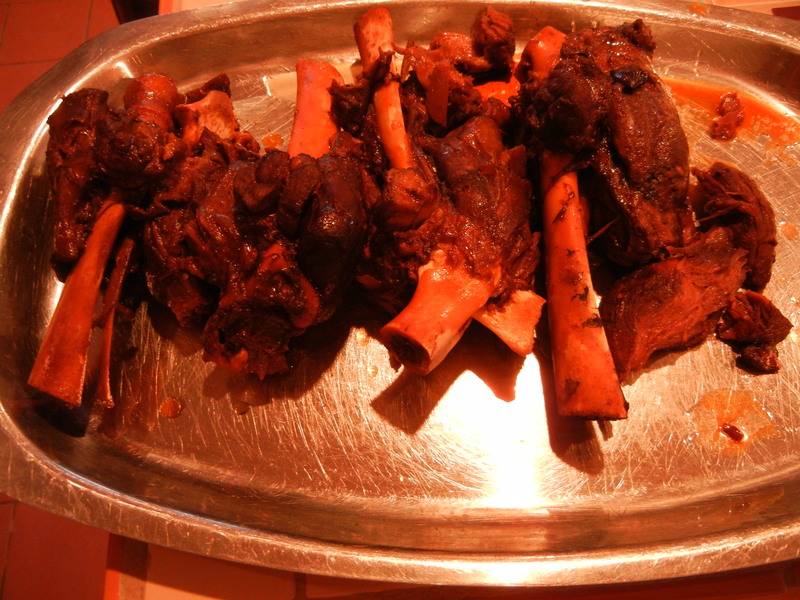 The shank is the lower part of the leg – the ankle so to speak – and perhaps their richness comes from the notion that the closer to the bone, the sweeter the meat. They certainly are bony. I always thought that they would be high in fat, so although I love their pronounced lamb flavor and hearty goodness, I have avoided cooking them. But, since they were on sale last week, I looked them up and they were surprisingly low in fat if you trim them well. 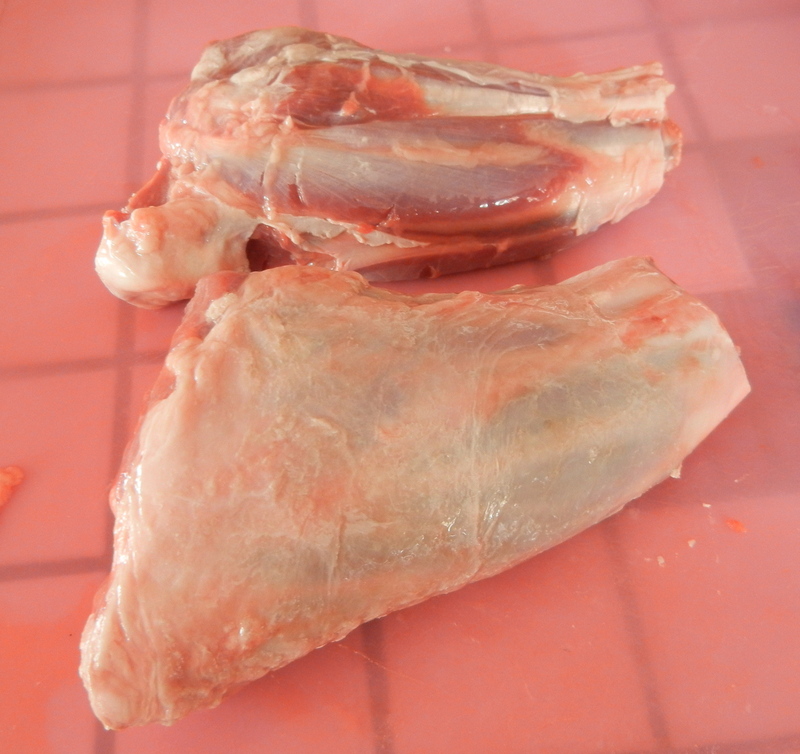 Lamb shanks require long, slow cooking , otherwise they would be very tough. This is a good make ahead dish, because you will want to skim the fat off after cooking, and like many rich dishes, the flavor deepens the next day. 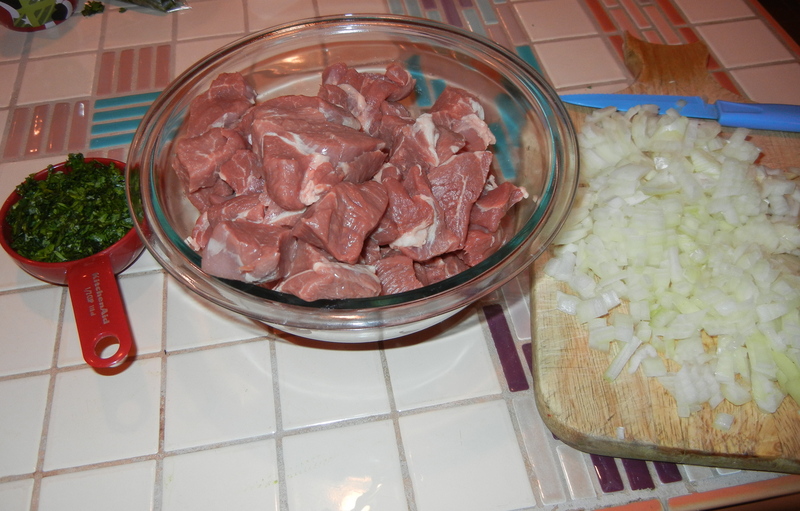 Trim every bit of visible fat from the lamb shanks. Combine the first 4 ingredients, setting aside 1 teaspoon of the herb mixture. Rub lamb shanks all over with remaining herb mixture. Spray a large pan or Dutch oven with cooking spray. Add oil to pan and heat over medium heat. Add lamb to pan; cook 2 minutes on each side or until browned. (I had to do them 2 at a time to fit them in the pan and give them room to brown.) Remove lamb from pan; keep warm. 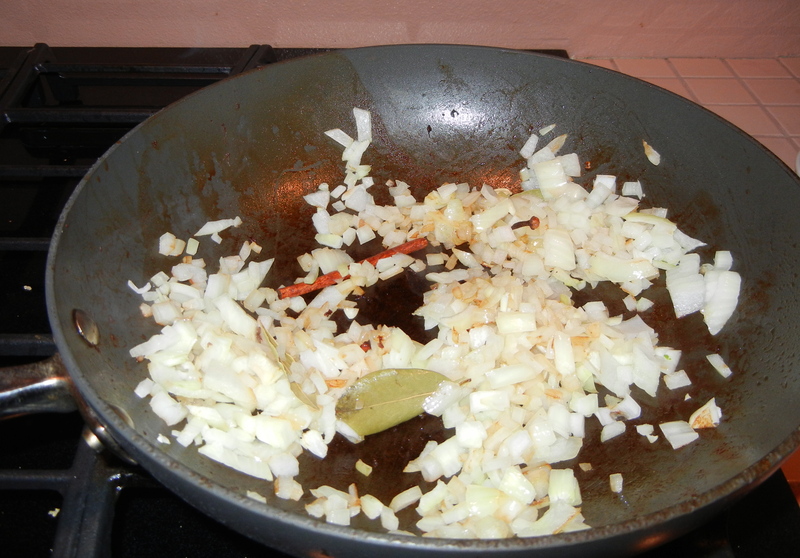 Add onion, carrot, and garlic to pan; cook 5 minutes or until lightly browned and tender, stirring occasionally. Add wine and reserved 1 teaspoon herb mixture; bring to a boil. Cook until mixture is reduced to 2 cups (about 6 minutes). Add broths; bring to a boil. Cook until mixture is reduced to 1 3/4 cups (about 5 minutes). 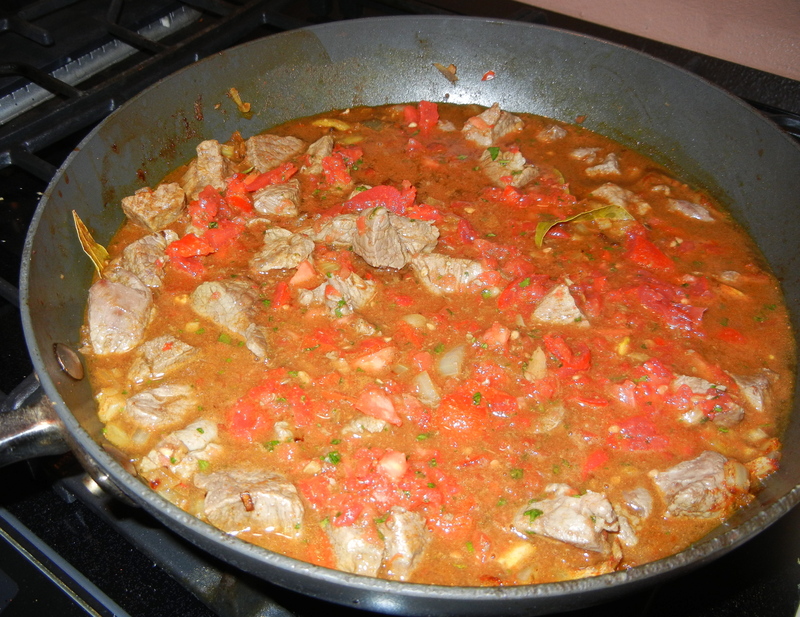 Return lamb to pan; cover, reduce heat, and simmer 2 1/2 hours or until lamb is tender, turning shanks occasionally. I had to add ½ cup of water to the lamb about half way through to keep the liquid from drying up and burning – so keep a careful eye on them, and check the liquid level when you turn the shanks. When the shanks are done, remove them from the braising liquid. 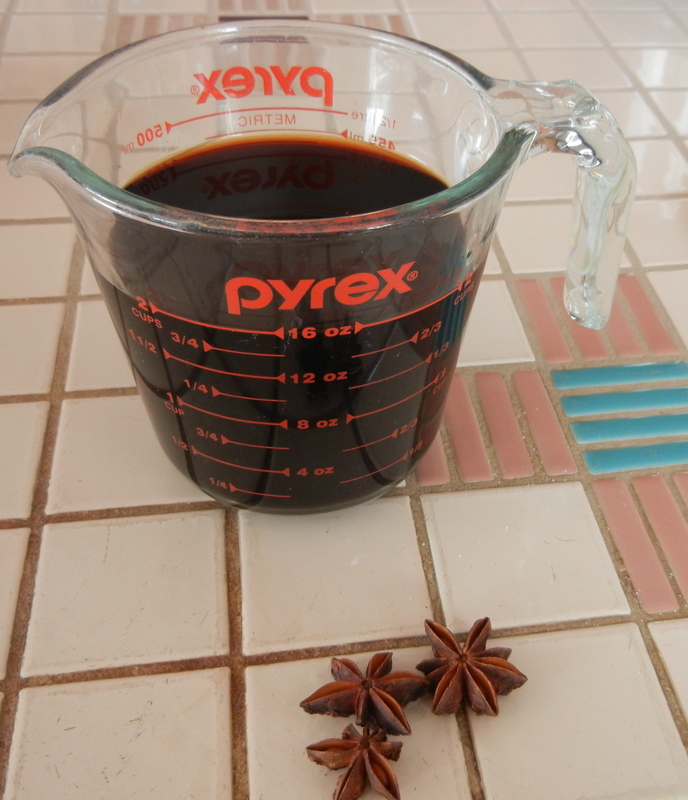 Pour braising liquid into a container. 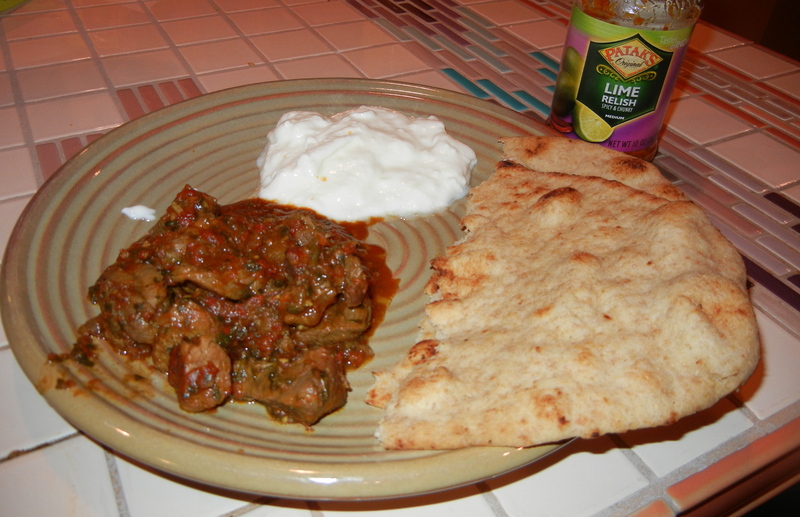 Refrigerate lamb and braising liquid separately. 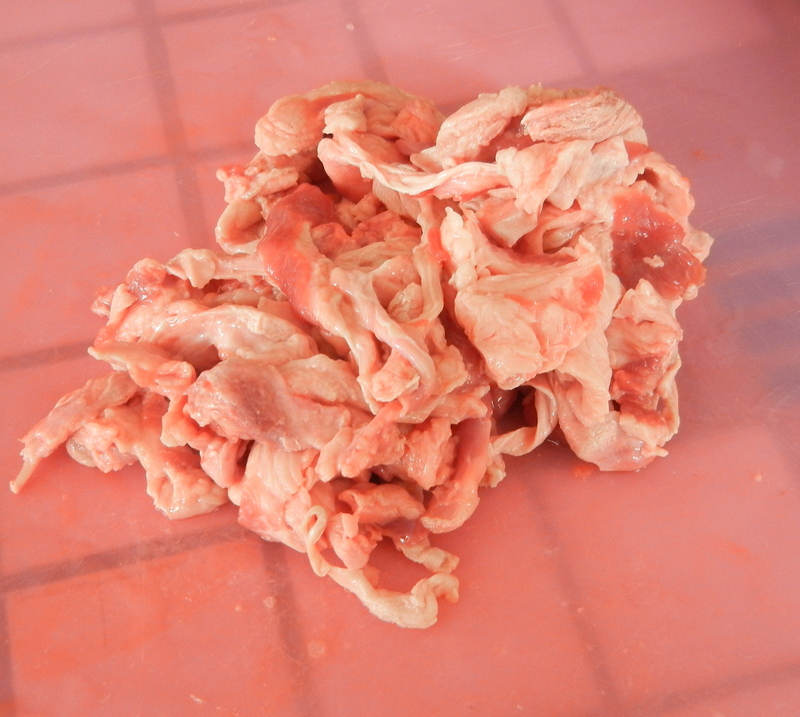 When liquid has chilled and fat hardened on the surface, remove the fat and discard it. Reheat the shanks in the braising liquid. Makes 4 servings at about 8 grams of fat/serving. Serve over rice, noodles, or mashed potatoes.